The ESG Distribution Partners are a group of businesses across Australia and New Zealand that are experts in their industries. They are highly trusted and respected distributors of our products and exemplify the business values that we hold in high regard at ESG. The Pack Centre is a one-stop shop for all your packaging, office and medical supplies and cleaning products. With a large range of environmentally friendly and biodegradable packaging and cleaning products to choose from. ‘Packaging Plus’ is your one-stop shop for packaging and cleaning - and much more. For over 15 years, Packaging Plus has been meeting the needs of local and national customers. As a privately-owned business, they take pleasure in being able to distribute top quality products from internationally recognised manufacturers around the globe. Chemicals, packaging materials, machinery, industrial matting - and a full range of other consumables can all be found in their catalogue. From disposables to large commercial equipment, Reward Hospitality has all your hospitality supplies in one place. With 12 distribution centres and 15 stores nationwide, Reward Hospitality offers the latest tabletop, catering, janitorial, washroom and packaging solutions from around the globe. So whether you’re running a café, restaurant or bar, need quality kitchenware or cleaning supplies, Reward is proud to deliver a world of ideas direct to you. Reward Hospitality, the consolidation of Reward Distribution and The Hospitality Store, is proudly owned by the E.CF Group - the European leader in hospitality, catering and general food service supply with key markets in Europe, the Middle East and North Africa. Paired with market leaders in Europe, Reward offers customers access to products and trends from around the globe. For more information about Reward visit your nearest store or contact us on 1800 473 927 to speak to your local Reward representative. Salute is a proudly Australian owned and operated family business. Established over 30 years in South Australia in the Adelaide Hills, Salute (formally known as Pak-Rite) provide complete cleaning, chemical, washroom, packaging, hand hygiene, and eco-friendly solutions to over 2,000 direct customers across the education, hospitality, healthcare, aged care, food service, industrial, and entertainment sectors. Salute's trusted distribution network also provide service and support to many more customers across Australia. SuperClean Distributors Wanganui provide the best solutions for all your cleaning and hygiene requirements. Specialising in providing the best value with being a true "one stop shop" for all your needs. ‘TBC Distribution’ proudly supplies the Illawarra region with washroom, packaging, chemicals and cleaning supplies. Being a family owned and operated business, utilising world leading brands, TBC Distribution can provide Anything and Everything for your business. ‘TBC Distribution Canberra’ has been manufacturing and supplying high quality, innovative cleaning and hygiene solutions to Australian hospitality, healthcare and industrial industries, for more than 25 years. 'TBC Distribution Queensland' proudly supplies washroom, packaging, chemicals and cleaning supplies, with an attitude that won't stop them from providing their customers with Anything and Everything when they need it. ‘Tensens Cleaning Supplies’ is an Australian owned family business based in South East Queensland and it has been operating for over 15 years. Their fully qualified staff, who have been trained around the world, offer innovation and education, which gives their customers the ultimate result − cleanliness! 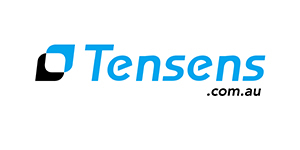 Tensens offers complete cleaning equipment and supplies systems, including janitorial equipment and machinery and washroom supplies and consumables. ‘True Blue Chemicals - Sydney’ has been manufacturing and supplying high quality, innovative cleaning and hygiene solutions to Australian hospitality, healthcare and industrial industries, for more than 25 years. 'Westco Distributors' are a leading supplier of a broad variety of quality products in the Bathurst region. They are a trusted name in the area and are well-known for their excellent customer service.